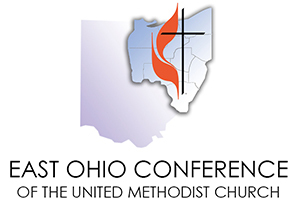 Annual Conference 2019 is June 10-13 at Lakeside Chautauqua, and Clergy Executive Session is May 20 at Ashland University. Learn more and register. During our four days together, we will center on what it means to be Committed (John 15:9-15 - CEB). Learn about General Conference 2019 and watch the video of the post GC meetings. EOC VISION: As our Episcopal leader, Bishop Tracy S. Malone holds out a vision and a hope that we will be bold, faithful and courageous in our Christian witness and will behold the power, the Holy Spirit’s power, that has been poured out upon us. View the bishop’s vision message. FOUR AREAS OF FOCUS: Our mission to make disciples of Jesus Christ for the transformation of the world centers on Four Areas of Focus: Engaging in Ministry with the Poor; Improving Global Health; Developing Principled Christian Leaders; and Creating New and Renewed Congregations. APPOINTMENTS: In making appointments, Bishop Tracy S. Malone considers the gifts and evidence of God’s grace of those appointed; needs, characteristics and opportunities of congregations; and faithfulness and commitment to an open itineracy. View appointments. 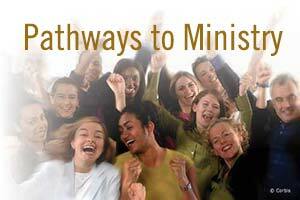 PATHWAYS TO MINISTRY: All Christians are ministers who are called to service. As you explore God’s call on your life, the resources on the Pathways to Ministry pages can help you discern your call to be ordained clergy or your call to the ministry of the laity. to life-giving ministries of The United Methodist Church. Search for East Ohio Churches or Clergy.